Indianapolis, Indiana (PRWEB) January 7, 2014 – Bullseye Event Group, one of the nation’s leading Sports Travel package provider and event ticket companies, will host The Players Super Bowl Tailgate at the future home of a major high-end retailer at Tanger Outlets in Glendale, Arizona, just two blocks away from University of Phoenix Stadium where Super Bowl XLIX takes place Sunday, February 1, 2015. The 2015 Players Super Bowl Tailgate venue will be filled with private party areas and high top tables, and the amount of soft leather furniture will make the atmosphere one of a high-end lounge made especially for VIP tailgating. 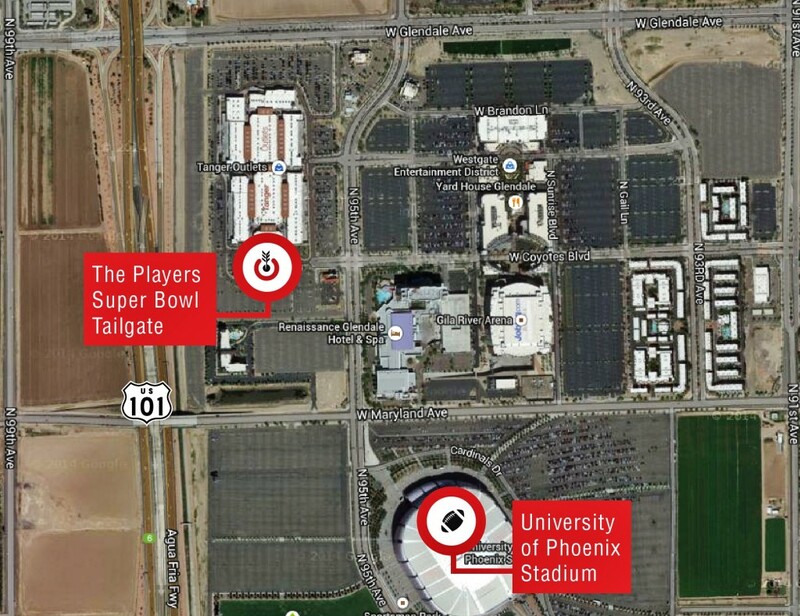 Bullseye Event Group has hired Scottsdale, AZ-based R Entertainment, a leader in the event production industry, to help coordinate the look, feel and design as well as the logistics of the company’s exclusive pre-game Super Bowl party. Active NFL players who have been guests of the Players Super Bowl Tailgate include WR Marvin Jones, Jr., RB Joique Bell, LB Brian Orakpo, CB Antonio Cromartie, LB Mychal Kendricks as well as Super Bowl Champions Vonta Leech, Plaxico Burress, Terrell Thomas and Hall of Famer Michael Strahan, who also hosted the event in 2013. Chef Beau MacMillan and Chef Aaron May join a celebrated line-up of chefs local to previous Super Bowl host cities who have treated guests at The Players Super Bowl Tailgate to lavish gourmet dining, including Chef Marcus Samuelsson in New York for Super Bowl 48 and Chef John Besh in New Orleans for Super Bowl 47. 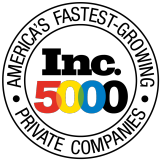 Bullseye Event Group’s Players Super Bowl Tailgate starts at 11:00 a.m. on February 1, 2015 and features five hours of all-you-can-eat, five-star dining and an open premium bar. ESPN’s Lindsay Czarniak returns to MC for the second year in a row, dazzling the crowd with her Pick 6 interviews similar to the weekly SportsCenter segment on ESPN Front Row where she asks an NFL player three questions and the player reveals three things about themselves fans might not know. Entertainment has included Cirque USA, national recording artists and Vy Higginsen’s Harlem Gospel for Teens Choir. 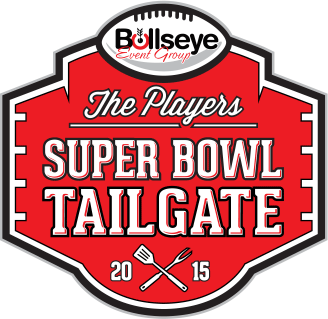 Tickets for The Players Super Bowl Tailgate can be purchased online at BullseyeEventGroup.com. Call 1-317-800-5820 to purchase tickets with a game day transfer.